What is a business leader to do? There was a time when choices were fewer. It was easier to decide. And easier to lead. Designers designed. Engineers engineered, Operators operated. Products got made. They got sold. Everyone was happy. This lasted until it stopped. A collection of complicating pressures forced designers, engineers, manufacturing operators to adapt. And they have been adapting ever since. What happened? Lots of things, but today we focus on one thing, time-to-market. The allowable range of time-to-market has gone down for just about every single thing imaginable. We are less willing to wait. The legacy 2D workflow: It’s traditional. It works. But it’s incurably slow. Drafting patterns by hand with traditional tools works. It is still common in low wage markets where newer technology is more expensive than low cost labour. But it is slow. Making changes is just as slow. Information sharing is so slow, it requires complex work arounds. 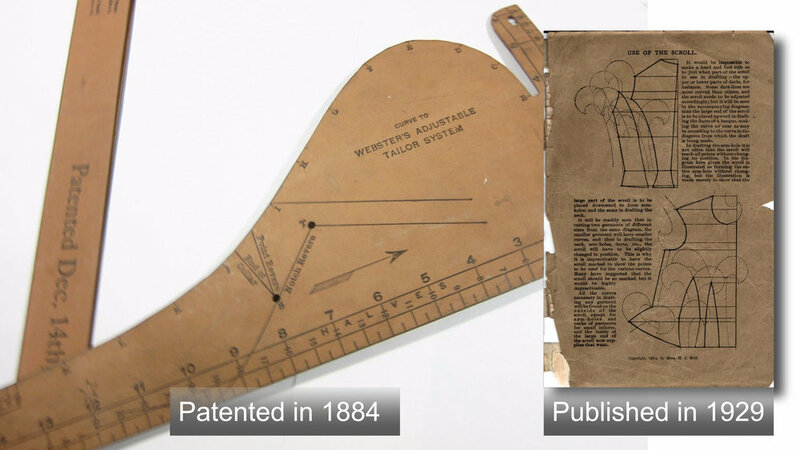 This way of working dates back to before the bright minds of the industrial revolution introduced mass production. It is a hand-crafted trade. What are the flaws? Are they incurable? The First Flaw: A disconnected workflow. Step 1, to Steps 2, 3 and 4 are all disconnected. That means the output of one step has to be re crafted, adjusted, and converted into a format that is compatible with the next step in the chain. This creates two problems: Extra time for adjustments. Extra time for because of slow and laborious editing. If there is a change, you have to go back to the earlier steps and make the changes and then "flow" all the changes back down. It sets up the conditions for increased errors. There is a lot of detail to take into account. It would be so much easier if, when a change was made, it would be applied to all other relevant areas. Just like knocking down the first domino and the rest follow. But that is not the case. There is no way to overcome this. It just takes repeated laborious effort every time a change is made. Bad News. Try if you want but, the first flaw is incurable. The Second Flaw: No associations. All pattern pieces must be 100% correctly associated with neighbouring pieces. The seam edges must also be associated with the neighbouring seam edges. The beginning of one seam, must associate perfectly with the beginning of the seam on the neighbouring associated pattern piece. The same goes for the end of the seam. Making associations like this is core to the 2D pattern making workflow. But there is a problem. Pattern makers are forced to do this work manually. The have to find the associated pieces, then they "walk" the pattern edges and eyeball the beginning and ends of seams. They also "walk" the parts to place and align notches. The flaw is unacceptably time consuming. It is another slow and laborious process. If there is a change that is made, then you have to repeat your work from the beginning. It's just slow. Is this second flaw curable? No. Not in the 2D workflow. If you want to increase your productivity, you can. Just add more people, or cut salaries. This is usually done by outsourcing to low wage markets. But it is not a long term solution at all. The Third Flaw: Work can't be shared. Collaborative design inputs, design reviews, costing, and approvals are just a few reasons for sharing your work. The modern product development context has stakeholders scatterd across different locations. Access to work in progress is essential. One missing piece can delay or even shut down products from coming to market. This is the 3rd flaw: work is not shareable. That is too harsh. It is shareable, but with substantial extra effort and work. This is often done by duplicating work in another environment to make shareable "copies." You know have to manage versions across these environments. This creates a situation where there are multiple, separate feedback streams. These streams must be organized into coherent action steps. It lights your time on fire and burns it to the ground. Because of that it extends time to market and frustrates those who are motivated to improve production speed. Is it curable? Not in the 2D workflow. You have to rise above 2D into a new way of working. But if you are committed to 2D, there is no cure for the extra work you will be forced to do to just to share work in progress. The "Elephant In The Room" Flaw: Disappearing pattern makers. I know we said 3 flaws. This is not a flaw with the 2D workflow, but it has a potentially dire impact. Legacy 2D pattern makers are exiting the profession, mostly via retirement. Industry has not invested in training and skills development programs to replace them. The problem is already reaching crisis levels with some industries reporting shortages. It is a serious problem. 33% of professional pattern makers will leave the profession between 2010 and 2020, according to the US bureau of Labor Statistics. This problem is even worse because, the trend toward digital process means, it is unlikely we will see enough pattern makers enter to profession to make a difference. The end result is bigger and bigger reductions in the numbers of pattern makers. Is the problem incurable? Yes and no, but mostly yes, it is incurable. There are no signs that enough training programs are going to suddenly appear. It is an expensive remedy and industry does not like expensive remedies. The second possible solution is to outsource to overseas low cost markets. But the problem with this is it extends turn-around time and delays product development. If losing your pattern makers is like falling into a volcano, then outsourcing is like falling in with a parachute. Both scenarios end in flames. Free Bonus Flaw: It is not compatible. The 2D workflow is cut off from one of the most important developments over the last 15 years, Digital Textile Printing. Digital textile printing is poised to usher an the era of on-demand manufacturing for many segments. In order for this vision to be fully realized, a clean break from the 2D workflow will be needed. The disconnected workflow, that forces pattern markers to make manual associations is does not create content for the digital printer. They dont compliment each other. it is an unfortunate wasted opportunity. But it suffers from "incurable slowness"
It's time to accept it and move on. Check back for part 2 where we will talk about a bright future and the glorious life after 2D. Mar 22 Can You Increase Productivity With Old Tools and Low Value Activities?